"By far the toughest interview I have ever done." Earlier this week, Lebanese media personality Paula Yacoubian scored one of the most highly-anticipated interviews of the year when she met with Lebanon’s Prime Minister Saad Al Hariri in Saudi Arabia. The live television sit-down came in the wake of Al Hariri’s shock November 4 resignation in Riyadh and amid speculations that he’s being forcibly held in the kingdom. Through her questions, Yacoubian set the record straight on several issues surrounding Al Hariri’s sudden decision to resign. After the interview that lasted 80 minutes, many people went online to share their observations. Speaking to StepFeed, veteran TV presenter Paula Yacoubian shared all the details behind the important talk and a few insights into things viewers might have missed. "Al Hariri told me he wanted to grant us an interview"
Q. How was the interview initiated? I had just left Abu Dhabi on Saturday and landed in Beirut at 11 pm when I saw several missed calls from people from the television and Prime Minister Hariri himself. When I called him back, he told me that he wanted to grant us a live interview the next day. Without hesitation, I flew to Saudi Arabia and I conducted the interview. Q. What was going through your mind on your way to the interview and what&apos;s your analysis since your return? I was more anxious on my flight going there and remember reflecting upon what people might say about it. I was thinking that there is a lot of controversy around this interview. I was also preparing for the interview at the same time, so I had mixed feelings. On the way back, I couldn&apos;t stop thinking about the current situation in Lebanon and what we have been through since I was born, how difficult things are in this country and how the political cast is somehow trying to undermine the sovereignty of this nation. Indeed, a lot of thoughts were going through my mind. I am 40 years old and I can&apos;t understand why we can&apos;t just have peace of mind and a peaceful country for once. Why do we always have to worry about the future? There is a lot of uncertainty and we are once again confronting the unknown. "The toughest interview I have ever done"
Q. Were you excited about the interview or did you feel nervous? Well, it was a very important interview and I was anxious. At the same time, the subject of the talk was a big responsibility and I knew everybody would be watching. Everybody would be waiting for a sign to build a whole idea on. So it was a very tough interview, by far the toughest interview I have ever done. Q. Were you worried about conducting the interview considering the political climate of the region and especially within Lebanon? Yes, definitely. Lebanese people are very anxious right now, they don’t know what the future is holding for them and if we will have a better tomorrow or if the country will plunge into a political crisis. I still have concerns until now, we don&apos;t have clarity, we don&apos;t know what is going to happen next. The resignation left lots of wounds in the Lebanese social and economic situation, it’s already fragile, we are very worried. "I was free to ask whatever I want"
Q. Can you walk us through your day beginning with that morning and the flight? I hardly slept that night, just packed the next morning and went to the airport. From there I went straight to the residence of Prime Minister Hariri. Initially, I met with his team - most of whom I already knew - and Prime Minister Hariri arrived 10-15 minutes before the interview started. We sat together and I asked him if there is any particular question he doesn&apos;t want me to ask or that he wants me to ask, and he told me, "as usual, I never impose any questions, you are free to ask me anything you want". People might have been wondering if there was some interference but there absolutely wasn&apos;t. Also, I didn&apos;t get any instructions and I was free to ask whatever I wanted, which is exactly what I did. Q. Was this the first time you visited Prime Minister Hariri&apos;s residency in Riyadh? I have been to his house before, so this was the second time. Q. Who was on set during the interview? The Saudi crew was there because when you conduct an interview outside the country, usually you have to outsource the production. That is what we did, we had the Saudi crew, President Hariri, and his team. Q. Did you pre-write your questions or did you improvise on the spot? I wrote some and improvised most of them. Q. Were there any questions you didn&apos;t have a chance to ask, or that you forgot to ask? Yes, there was one or two questions, nothing major. Q. During the interview, a person who was seen holding a paper appeared in the frame behind you. Al Hariri gave him a tense, angry look, who was that individual? It was less about the man&apos;s presence and more about the look the Prime Minister gave him that has caught people&apos;s attention. However, I can confirm for sure that this was someone from within his own team. Although I can not reveal his identity, I am sure about it because I saw and know the person. The man may not have known that he was on camera, but President Hariri saw him. This happens with a lot of politicians when they are approached by their advisors during the break, or when there is an urgent message that needs to be delivered, they come, say something in their ear, they give them a paper with notes etc... And although I have seen it happen numerous times, this is the first time I witnessed it on the set. But it does happen. I think it was a genuine mistake and perhaps the cameraman should have told him to not come inside the visual field. Q: What happened after the interview? The Prime Minister went to change his clothes after the interview and subsequently rejoined us for around 7-10 minutes. He had a bite with us and then left again and I went back to my hotel. When I awoke the next day, I packed, went to the airport, and departed back to Beirut. I didn&apos;t see any Saudi officials. "I asked questions about Saudi Arabia that have never been asked before"
Q. How do you respond to those who say the interview was staged? Those who watched the interview completely changed their mind because I asked all kinds of questions. I asked very tough ones and I asked questions about Saudi Arabia that have never been asked before. You couldn&apos;t stage something like that. You don&apos;t hear any serious voices suggesting that it was all a set-up. Also, those who initially doubted the authenticity of the interview on social media subsequently told me things like, "we didn&apos;t expect this ... and that was very professional ..."
Q. Numerous body language experts suggested that Prime Minister Hariri looked sad and under stress. Did you sense the same? Yes, I agree with that, he looked tired and sad. However, given the pressure he is currently going through, it&apos;s normal. Especially with everything that is happening in the region. He told me that he is taking some time to relax and that he is thinking of what is happening. Q. You asked for a break when there was a moment when it looked like he was about to tear up, is that right? I wanted him to take his time and sensed that it was a moment where he might need a break. Q. Lebanese media expert Claude el Khal told CNN, "You could see in her eyes that she felt sorry for him. It was as if she had gotten in touch with a maternal instinct". He also noted that you brought down your combative tone as Hariri began to get emotional. Would you agree? Actually, I didn&apos;t feel "sorry" for him. I felt what he was feeling, that this is not just a guest I am interviewing, he was my boss for more than a decade. He is also a person that I respect and love, he is a Lebanese leader that I look up to. More so now, I have a lot of, how shall I say... sympathy... I feel that he can somehow save the country. His resignation unified the Lebanese people behind his leadership. In this moment of time, Saad Hariri is not just a Lebanese secretariat [word for sect] leader, he is a national political leader. Prior to that and due to the death of his late father, he was more of an emotional leader. When he resigned, everyone in Lebanon was asking what will happen next. What will happen to us? Is the economy going to stay stable because we already have a fragile economy? What about the banking system? People were very confused about the future. I think this is when we all realized how important he is for the Lebanese political scene and for the international scene. In the context of regional events, this is really not a good time to lose someone like Hariri in politics. Q. PM Hariri said he would return to Lebanon, do you believe him? Well, I certainly wish and believe that I am going to see him in Lebanon in a few days because anything else would be a catastrophe for Lebanon. As I said, the unknown. I don&apos;t know what to predict if he doesn&apos;t come back in two days. I believe that he is free to go and that he can come back whenever he wants but I think he is trying to somehow keep things very smooth with Saudi Arabia. 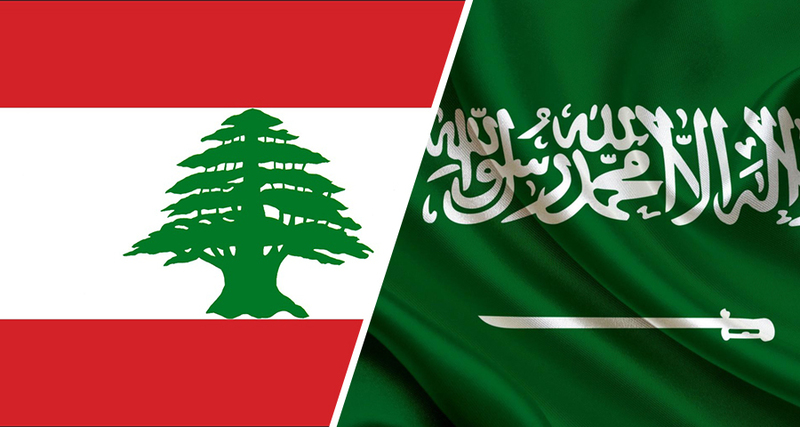 We don&apos;t want any tensions between Lebanon and Saudi Arabia. You have to understand, there are 250,000 Lebanese people living and working in Saudi Arabia. They make fortunes over there and our country relies on remittances. They send money to support their families living in Lebanon. My father died when I was 9 and my brother-in-law worked in Saudi Arabia. He used to send us money for schooling and university. This is not only a personal story, this is a story you can find in many families in Lebanon. Therefore, we want the best relations and we are very grateful to Saudi Arabia. Is the PM&apos;s life in danger? Q. There seems to be is a lack of belief that PM Hariri really is in danger in Lebanon, do you agree? That is what he said when he resigned, that his life was in danger and that he saw what happened to his father. Some believe that he is in danger in Lebanon. Personally, I think that the situation now is a bit different and I am not sure about those security concerns. However, this is a country that is very unpredictable. Living in Lebanon is like living next to a volcano, you never know when it is going to erupt. Well, he can come to Lebanon and stay in his house and keep his movement limited and he already has a very strong security team. He leaves this house with many cars and big envoys. So he can keep those measures and I think he will be ok.
Q. But his father, Rafik Hariri, had the same protocol and high security. What makes this situation different? The circumstances; we don&apos;t have the same circumstances right now. But we are just trying to take an educated guess, no one can tell, maybe he is. I cannot confirm that he is not in danger, I am just trying to read a little bit with you. "Saudi Arabia is helping the state of Lebanon"
Q. He mentioned that Saudi Arabia&apos;s position in Lebanon has been one of humanitarian and economic assistance, while Iran&apos;s meddling had brought only tension to the region. What are your thoughts on that? I second that and anyone who really knows the situation in Lebanon will tell you this is a fact. Saudi Arabia is helping the state of Lebanon and their people, regardless of their belonging, in education, in construction, in many fields. Iran sends arms, missiles, and money to a sect in Lebanon, Hezbollah. They don&apos;t see Lebanese as Lebanese, they only take care of their people, Hezbollah, who are really just proxies for the revolutionary guard in Iran. Q. What would you tell the world on behalf of Lebanese people? I would tell them that this country deserves a better understanding. This country deserves to live in peace and stability. Q. If you had a message for the Lebanese people after conducting this interview and being in front of the Lebanese Prime Minister, what would you tell them? I would ask them to condemn and reject any sectarian parties within our political system that are harmful to Lebanese unity. Parties are supposed to be political, not sectarian. This country cannot survive if we stay divided and continue on this path. We are a small country of 10,000 sq km and cannot afford to be ripped apart. Unless we unite as a country, we are heading towards failure. We have an ongoing garbage crisis, we don&apos;t have electricity, we rely on generators... For a country like Lebanon, this is a great shame. Now we have an opportunity to have Lebanese leaders who can be from different sects and not just Christian, Sunni, or Shiite leaders, it doesn&apos;t work that way. Also, I want to say something else to the Lebanese people that is very dear to my heart... If we keep on letting the same cast (lead), we cannot expect a different result. We keep on bringing the same people back, they die, we bring their kids, their heirs and so on. We have to change our choices and think differently. I am not speaking emotionally here, it didn&apos;t work and it never did, so for once let’s change that. If we have a chance to have an election next year, let’ s have a different cast. This is my message after 23 years in political journalism in Lebanon. Mariam Nabbout, Malik Al ash-Shaykh and Lamisse Farhat contributed to this post. Deadliest earthquake of 2017 shakes Iraq and Iran ... does anyone care?